A respected artist from the Utopia region, her Dreamings include Mountain Devil Lizard, Bean, Emu, Pencil Yam, Grass Seed and Small Brown Grass. 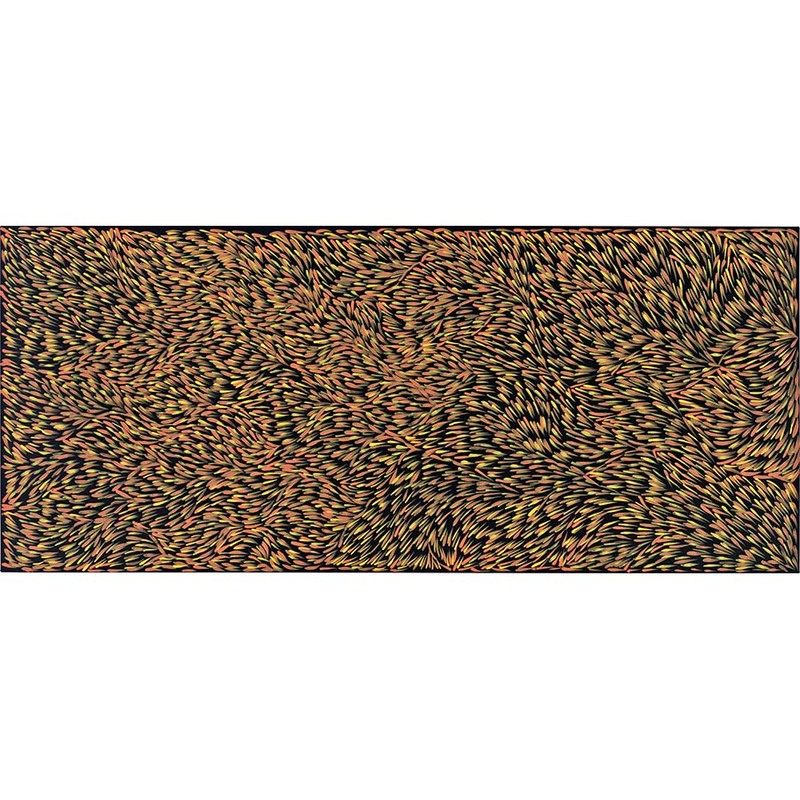 First coming to acclaim as a batik artist in the late 1970s where she represented Utopia women artists in national and international exhibitions, Gloria later turned to acrylic on canvas as her medium of choice. Preferring greater fluidity and expression, she re-interprets designs originally painted on the female body for ceremonial purposes. Earlier favouring a more direct representation of these designs, Gloria’s paintings have evolved to a higher degree of abstraction. Her work is held in private, corporate and public collections, including the National Gallery of Australia. Gloria Petyarre's bush medicine leaves showcases her original, classic design. The bush medicine leaves are derived from the Kurrajong tree found in her Atnangkere country, Utopia region in the Northern Territory. The Mountain Devil Lizard Dreaming is one of the most significant Dreamtime Stories for the renowned Petyarre sisters of Utopia. This lizard is small, has spikes on it’s back and whilst crossing vast terrain, the animal’s colours change according to it’s environment.